Over the past ten years the pet food industry has exploded! We went from a few low-medium quality dry and canned food options, to an explosion of varieties – varying in quality and type. What is a pet parent to do?? Start Here. Find a Quality, Trusted Retailer. 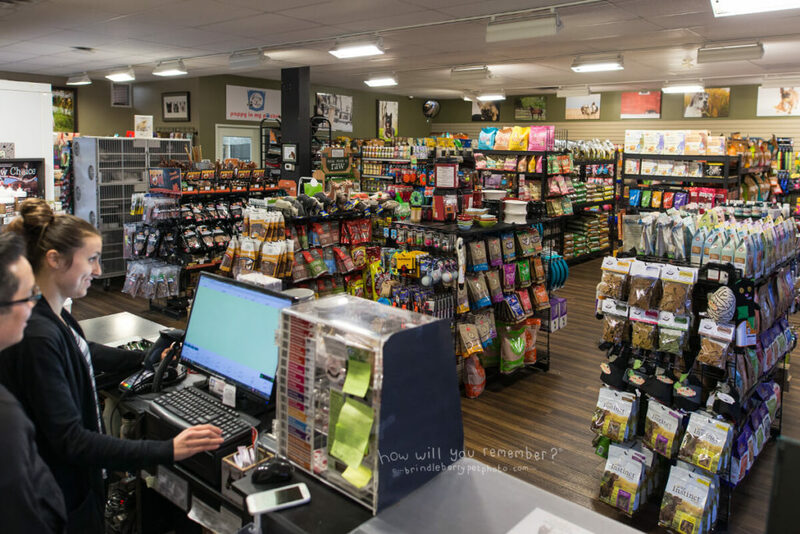 The best piece of advice I can offer, is to start by finding yourself a good, privately-owned pet food store that has knowledgeable staff to help you make decisions that best suit your pet and your situation. If you can find a shop that offers ONLY the high-end foods, this is even better. Then you can be confident that anything you purchase will be the best quality product on the market. Here in Calgary, my go-to franchise is Tail Blazers. I co-own the Copperfield location, and I know first-hand the intense screening process we have for all of our products, and the training process for our staff is just as intense. A complete raw diet will contain a combination of raw muscle meat, ground bone, ground organ meat, and sometimes pureed fruit and vegetables. The REALLY incredible diets will also contain natural supplements like dried kelp, montmorillonite clay, apple cider vinegar, and salmon oil for example . There are raw diets on the market that are NOT complete, so be sure to have your retailer point them out to you. You may wonder, “why would anyone create an incomplete raw diet?” and the reason for that goes back to when raw diets were being made and purchased out of butcher shops and garages. Some people prefer(red) to add their own ingredients to the diets to make them complete. I would advise against this, unless you are knowledgeable in the ingredient proportions that are required to make the diet complete. 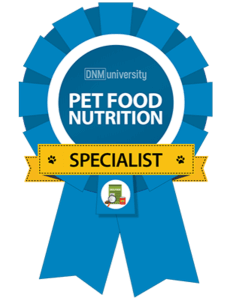 The obvious PRO to feeding a balanced raw diet, is that you are feeding THE MOST natural, easy to digest, species appropriate (naturally designed for dogs) diet available to your dog. There are fewer ingredients which also helps people that are trying to nail down a potential food allergy. And, what you see is what you get. There is no way to hide mysterious ingredients in these diets – you would see them. Dogs and cats fed raw diets have less gas, cleaner teeth, and smaller, more formed and less smelly stools. Cats fed raw diets are less likely to have diabetes. In fact, the likelihood of any disease seems to decrease in raw fed dogs and cats. Raw fed pets also tend to be leaner. And, due to the high shipping costs of these diets, they are usually produced by local farmers so you can support local too! The biggest con to feeding raw diets is the cost, and they require some planning to ensure that you are thawing food in time to serve it. Unless you have a large freezer, you will be visiting your local retailer more often to stock up. 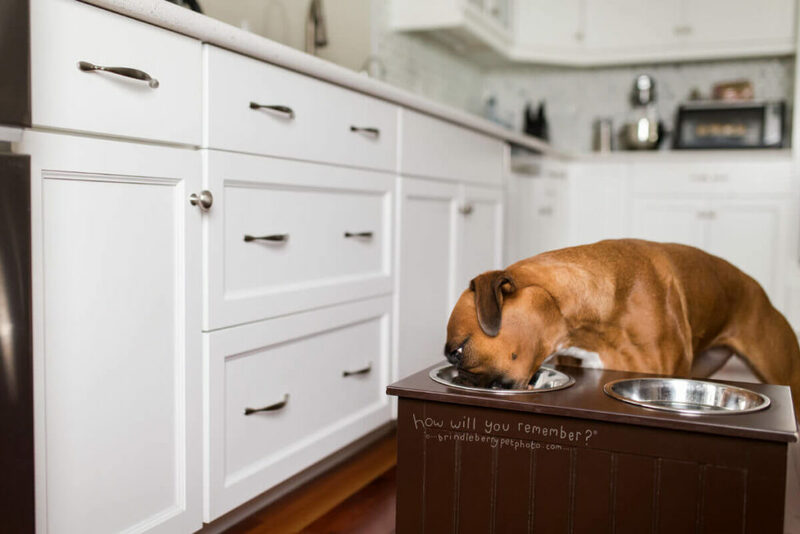 All that being said… I have been an avid raw feeder for over ten years, and my three Boxers all lived very long, healthy lives. They all died of old-age related diseases at 11, 13, and 13 years of age. When I switched them completely over to raw, my vet visits were less frequent and I actually saved a lot of money in that regard. However, raw diets ARE generally more costly (if they aren’t, that should probably raise a red flag as to their quality). SIDE NOTE: Some people worry about bacteria in raw diets, however, in all my years selling pet food and watching recalls, I have seen far more “bacterial contaminate” recalls in poor quality treats and dry foods than I have with raw dog food. In fact, because it is raw meat people tend to handle it more carefully than they do dry foods. Some of my favourite commercial raw diets: Carnivora, Nature’s Variety and Primal. I have others I love, but they are pretty local to my area. Freeze-Dried diets are processed, but have not had high levels of heat applied to them, so they do not lose as many nutrients as other processed diets do. They are really the next best thing to raw diets – once you add water to them and re-hydrate them. You are paying for the convenience for these diets as they will typically be your most expensive option for a commercial dog diet. If you are ok with thawing and handling raw diets, you will likely get more bang for you buck with them. Some of my favourite Freeze-Dried and Dehydrated Diets: K9 Natural, Orijen, and Primal (Freeze-Dried), and The Honest Kitchen and Sojos (Dehydrated). My dogs typically do better on the Freeze-Dried options. 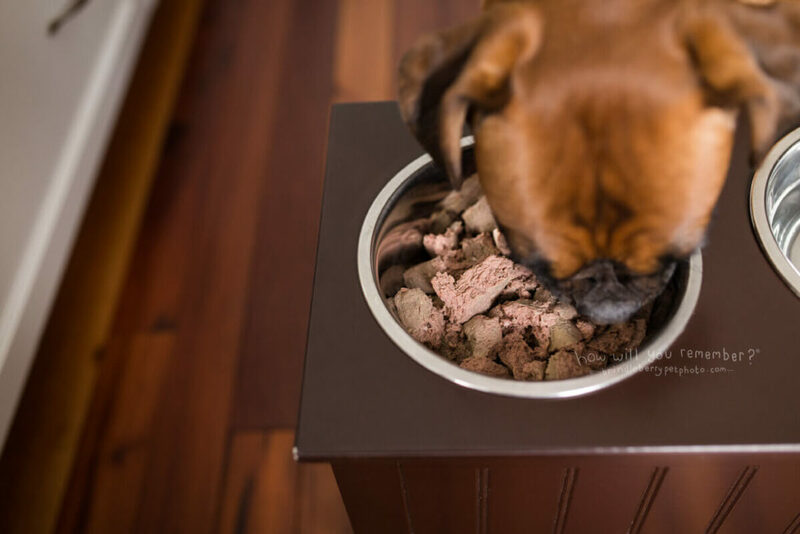 You may have seen a surge of these cooked diets (often presented in a tube, and sometimes resembles bologna in the refrigerated section) lately in big box pet food and grocery stores. I have not seen a commercial cooked diet that would pass to get into my store, however, so I cannot speak in great detail on these diets. Make sure you do your research if you are considering one of these diets! They have not been cooked at extremely high temps and they are reasonably convenient to feed. It is harder to find a good quality options and since they are normally sold in big box and grocery stores finding knowledgeable staff to help you decipher the quality could be challenging. Some of my favourite cooked diets: As mentioned, I have not found any widely available cooked diets that I like at this point. There is one available in Western Canada that I do like, called Farm Fresh. I am not sure of their global distribution channels and availability however. Canned diets have been produced and fed for decades and are very popular among pet owners. Cat’s in particular love canned diets, and they can be a really great topper for a predominantly dry food diet. 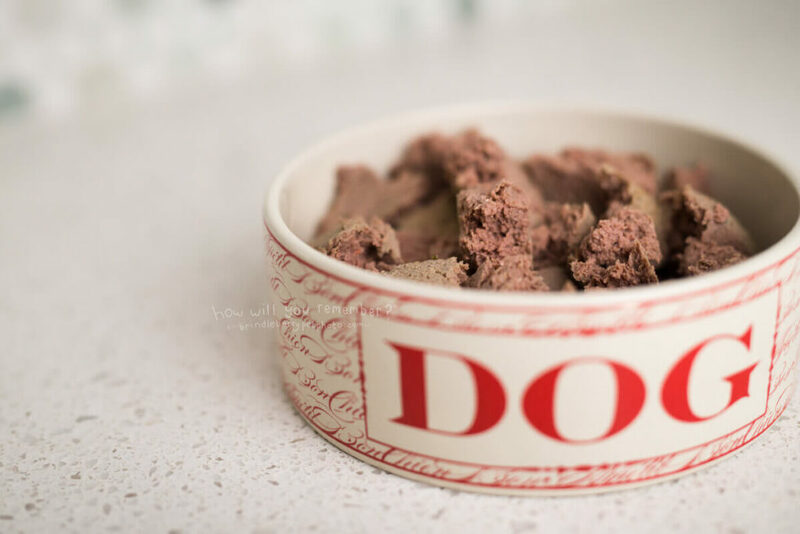 Canned food diets are far better for your dog or cat than a dry food diet (see below). As far as processed foods go, it fits about right in the middle as it is gently cooked in the can. Canned food also contains moisture which is OH SO important for cats and dogs. Canned foods are also very “aromatic” and palatable which makes them appealing to picky eaters. Cats seem to enjoy canned food so it can be a really healthier alternative to dry foods for them. Canned foods are also shelf stable and easy to store unopened with long expiration dates. Feeding a canned food diet to a large dog, or multiple pets can be really expensive. The unused portion of the can can also be a hassle to store. And, once refrigerated some fussy pets won’t eat the leftovers. SIGH. The aromatics can also be a con if you are sensitive to strong smells. I have also found in my experience that my dog’s stools are softer and smellier on canned diets. 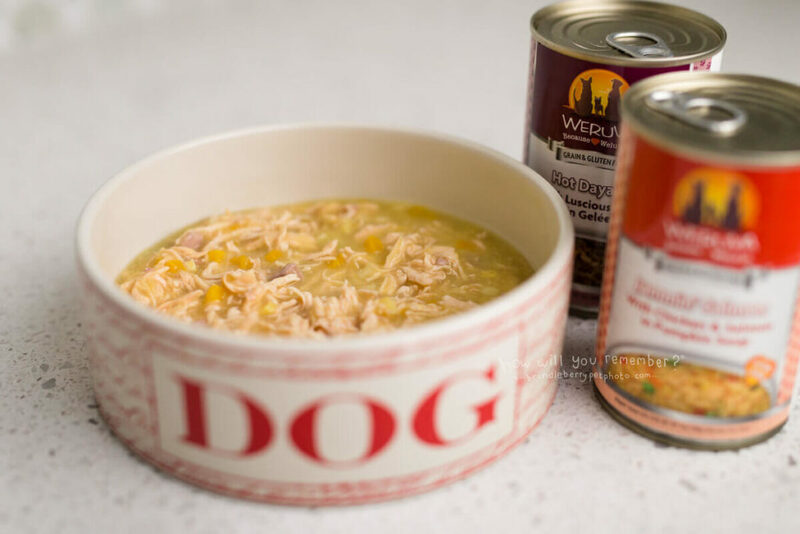 Finally, because there is a high cost involved in producing canned foods, many pet food companies outsource their can production to a third party canning facility. What this means is that they are hiring someone to make their foods for them and counting on them to adhere to their high standards for production. Usually this is not a problem, but I have seen recalls result from manufacturer error that were not the fault of the pet food company itself. Some of my favourite canned diets: Weruva, RAWZ and Hound and Gatos. The biggest and only pros (in my opinion) for dry, kibble diets are price and convenience. These diets were created to make our lives easier, and were not designed with our pets needs in mind. However, if kibble diets are your only option, please research the best quality brands. And for the reasons mentioned below, I would highly recommend feeding dry food with some canned food for added moisture. 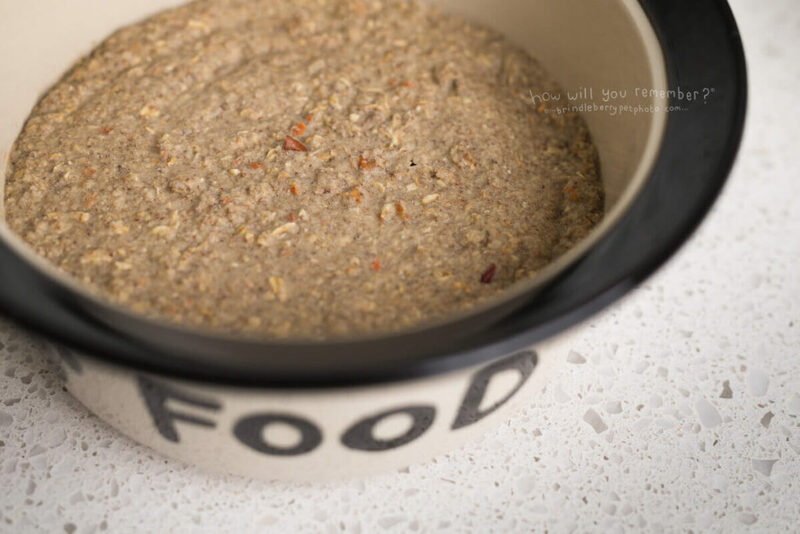 I am going to sound like a bit of a hater here, but because dry diets are the most heavily processed diets available for your pet, they are my least favourite. They are processed at such high temperatures that they lose most of the nutrients that were once available in their raw ingredients. This means that the manufacturer has to add them back in the form of synthetic vitamins and minerals. Your pet will have the hardest time digesting these foods (their body pretty much has to undo the processing process to make use of the ingredients), and because there are so many ingredients present in the bag, it is nearly impossible to nail down any sort of allergy in your pet when they are on a dry diet. 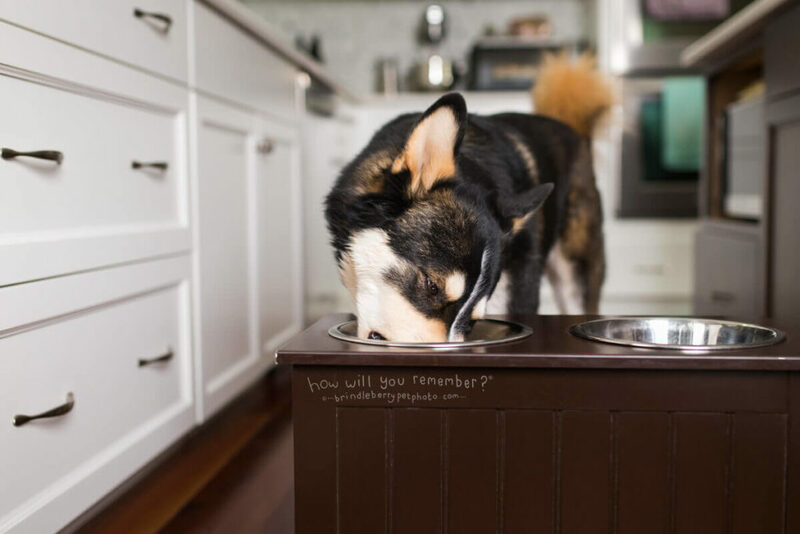 You will see larger, smellier stools from pets on dry diets as well (this will vary based on the quality of dry food you choose). The biggest problem with dry diets is that they are just that – DRY. Cats and dogs (especially cats) were designed to get their hydration and water from their food. 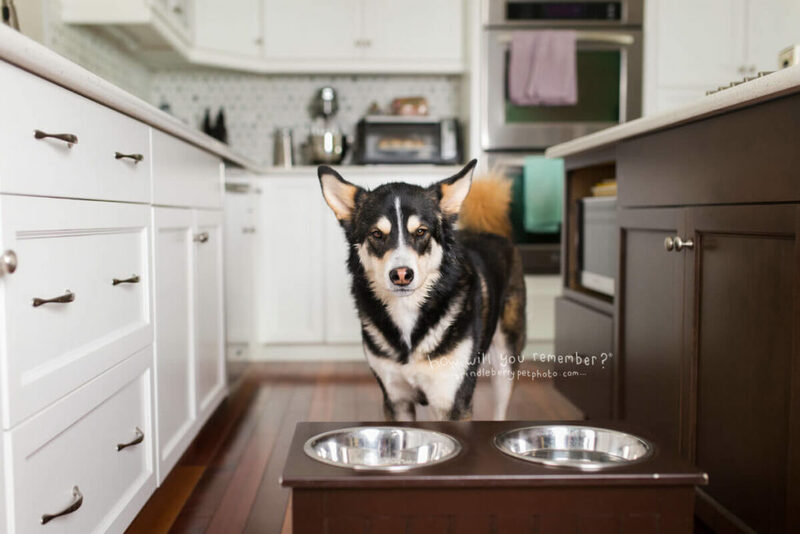 When you feed dry diets, they are relying solely on their water bowl for their hydration. Cats in particular don’t typically drink a lot of water, which means their systems are not flushing out toxins as they should be. Dry fed cats and dogs are more likely to have kidney and liver issues for this reason. There is SUCH A MASSIVE range in quality in these diets (even among the high-end manufacturers) and unless you find an honest, knowledgeable retailer, you will need to do your own research (see the ingredient dictionary below). Some of my favourite kibble diets: Acana (their grain-free varieties), Nature’s Variety (their grain-free, raw boost varieties), and Fromm (their four star nutrionals line). 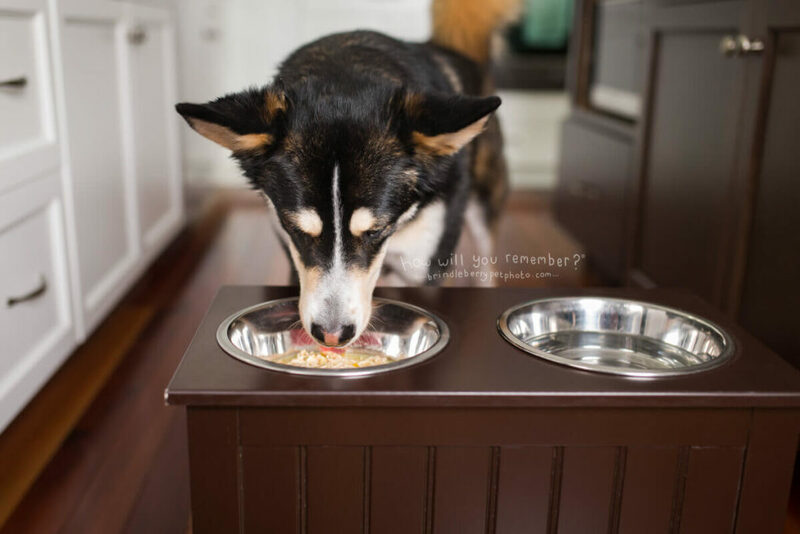 You can feed dry food, AND add in fresh meals too! I know, you have been told for ages NOT to do this. By whom? The companies that would like you to feed only their foods of course! Now we as humans are known to eat a very processed diet (at least the western world humans) but we can also throw in salads and fresh fruit as well. And, I am not sure anyone would argue that this is a bad idea! The less variety that you feed your dog, the harder it is for them their bodies to accept and digest new foods. Think about this… Say you decided you weren’t going to eat any dairy for 5 years. Then one day, you decide to drink a litre of milk. Odds are, your tummy won’t be happy. But had you been drinking it all along, you may not have had these digestive issues. So, how do you introduce a varied diet? A little at a time… When introducing new diet options, start by adding small amounts of the new foods and see how things go. Diarrhea is most often caused by over-eating, so be sure to watch portion sizes and don’t overfeed. Raw diets and dry diets digest at different rates and therefor it’s not recommended you feed raw and dry at the same meal. It can cause gas, and it can prolong the time the raw food is in the gut and it’s meant to digest quickly. You can however, feed raw for breakfast and dry for dinner for instance. Because the level of processing for canned diets is somewhere in the middle (between raw and kibble), feel free to add canned foods to either diet. 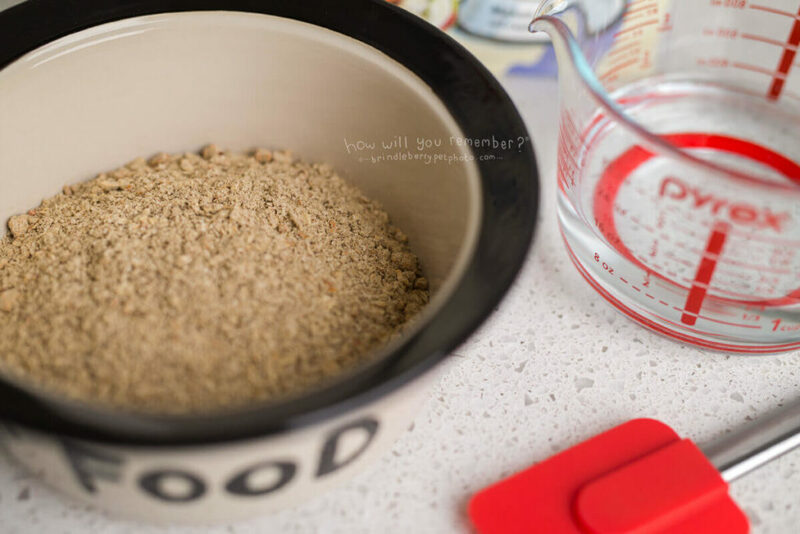 This can often be a good way to transition picky cats onto raw food which is can be notoriously hard to do. Imagine how boring it would be to eat the same thing every day, for your entire life! Luckily, we don’t have to, and neither do our dogs! To make this easier for us, many of the high-end natural pet food companies have introduced lines of dry food that are meant to be rotated. For instance, Fromm’s four-star nutritionals dry food line has several flavours to choose from and you can choose a new flavour each time you grab a new bag. Nature’s Variety offers Instinct, their grain-free line-up of raw, dry, canned, freeze-dried diets that are all designed to be switched around and rotated. Champion Pet Foods (makers of Acana and Orijen) offers the option to rotate in all of their dry food lines as well. You and your dog can enjoy the benefits of each diet type – and no more boring meals for your pup! 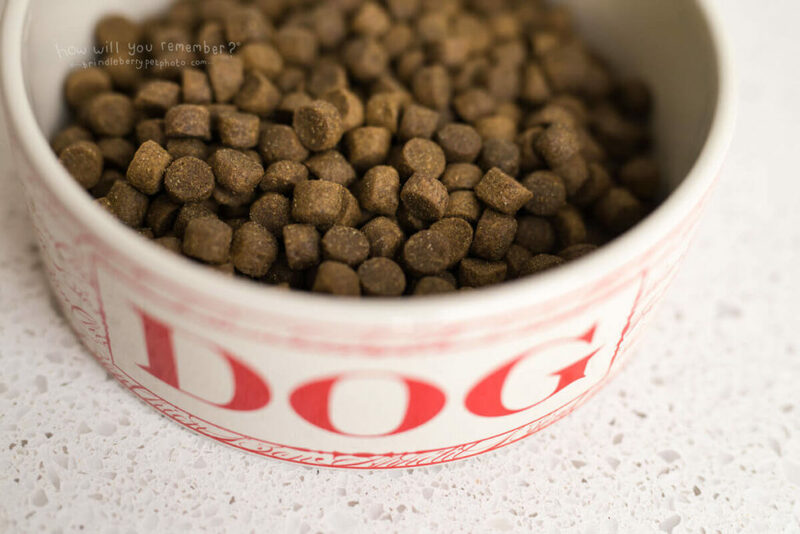 Not all dog food are created equally, and even some foods that have ingredient panels that read well, have a history of recalls or dishonest advertising. This info should all play a role in deciding which foods you feed your dog. If you have your pet food label on hand, feel free to head over to Tail Blazers’ Ingredient Dictionary and check out your ingredients one by one. If you have an idevice, there is an app available in the Apple Store that you can take with you when you are shopping. The app can also help you calculate how much raw food to feed your pet. Sadly, I own an android device and can no longer use it on my phone, but you can still access the ingredient dictionary via your computer’s browser. UPDATE!! YAY, you can now get this wonderful app on Android as well! It’s FREE – download it now – what are you waiting for!? I hope this has helped you learn a little more about the pros and cons of the many available commercial dog diets. If you have any questions, feel free to leave them in the comments below! A NOTE FROM HOLLY: Although I have plugged a lot of companies here, I want my audience to know that I did not receive any compensation from any company listed in this article. I have co-owned a health food store for pets for over ten years, and this advice is a result of these years of experience and feedback from my clientele. I have had dogs with extremely sensitive digestion and my choices and advice are based on my own trial and error rather than from reading a company’s brochure. 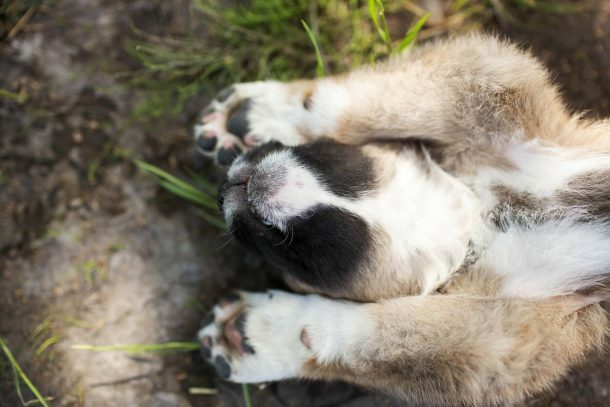 The advice in this article should never substitute the advice from your holistic Veterinarian.